This charming, youthful “postman” made his first forays into Malaysian TV when he appeared in the TV commercial of Rejoice shampoo, which was awarded as one of the 10 most popular TV commercials in Singapore. The cute-looking, amiable model was talk-of-the-town ever since the commercial was aired in national TV. Alan Yun is also a familiar face in various local advertisements, such as Celcom Chinese New Year advertisement, Kodak Film, Mc’Donald's, Clorets, and Peter Styversant. At the international level, he appeared in advertisements of Nescafe, Gillette, Volkswagon, Mizone mineral water, Nissan Teana, Fuji Film, Star Hub, Red Neck Beer, Smartone, Head and Shoulders Shampoo, Yeos and many more. 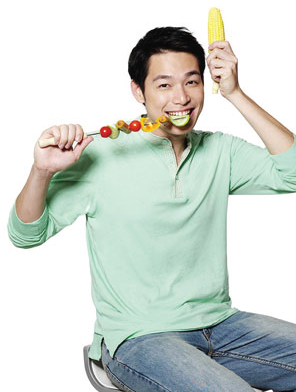 For three consecutive years, Alan Yun is the brand ambassador for the renowned home-grown brand, Pensonic. Living up to Pensonic’s tagline, Alun Yun has been striving his best to bring enjoyment and happiness to his fans. Born in 2 March 1978, Alan Yun started off his career as a model and his talent has then blossomed into singing and acting. Voted as the Malaysia Top 10 singer 1999/2000, his hit song “Flying With Rhythm” used to receive heavy airplay. Apart from that, this versatile star has proven that acting is also his core expertise. Alan Yun played a cameo role in Yasmin Ahmad’s movie – Sepet (2004), which has won numerous coveted awards, and was shown at the 48th San Francisco International Film Festival. Thereafter, Alan’s acting skill was widely recognized and he was offered to star in Gubra (2006), a sequel to Sepet movie, another international award winning local film directed by Yasmin Ahmad. Besides, Alan Yun also appeared in the horror movie “Possessed”. Alan’s most recent TV appearance is the Chinese drama presented by NTV7 and Singapore’s MediaCorp, named “Falling In Love”. Alan played a role as a sentimental and matured man, and the movie has successfully recorded the highest ever TVR for local Chinese drama. Moving forward, Alan Yun will continue to strive for the best to pursue his budding career as a model, singer, actor, brand ambassador and entrepreneur.